If you haven’t noticed from the onslaught of products being plugged on social media, the beauty industry is booming right now. If you’re a fashionista with a creative eye and serious DIY beauty skills, there’s definitely an opportunity for entrepreneurship. 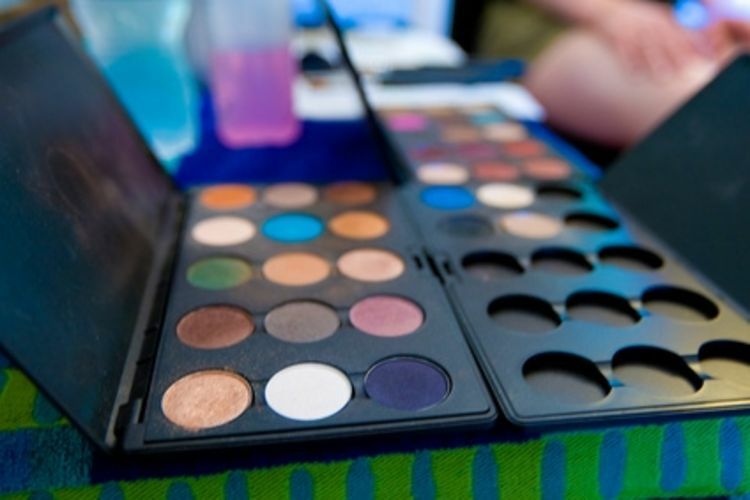 Today, independent “cottage industry” makeup businesses are all the rage. But making a career in the fashion world or beauty industry is no small feat. Many companies try and only a small percentage are able to succeed. That’s because they fail to treat their passion like the business that it is. If you want to launch your own beauty line, these are the essential steps you have to follow before your products hit the shelves. Part of the reason so many cosmetics companies fail to get off the ground is because trends change so quickly. Another issue in the beauty world is creating products that live up to the hype. Consumers have so many options today if something doesn’t impress them they’ll quickly move on. The first thing any new cosmetics start up should do is get a gauge for what their target market wants. The easiest way to carve out your part of the cosmetics pie is by conducting beauty product testing. There are companies who can help you put together focus groups and test the efficacy of your fledgling products. This is so helpful in so many ways. For starters, you’ll get a good feel for what consumers are looking to buy. You can identify gaps in the market where there’s room for a new product. This is critical information that can make other business decisions easier. Beauty product testing can also prove that your products are safe to use and deliver on the marketing promises. Both of those factors are huge for consumers who may be on the fence about trying a new cosmetics line. Now that you’ve tested the waters, so to speak, it’s time to decide what your niche will be. The beauty industry is so expansive there’s no way to cover it all in a single line. Plus, even if you tried to, you’d be competing with well-established mega corporations like Revlon and Cover Girl. As a start up, it’s better to follow in the footsteps of a company like Sand & Sky. This Australian sister duo wanted to become the cosmetics and skincare company that showcases ingredients from their home country. They’ve succeeded. The success of their first product, an Australian clay mask, has put the company on the map in a big way and is drawing attention to Aussie ingredients that have largely been ignored. Moral of the story: come up with a niche that your company can serve. With a global market at your disposal, it’s a good idea to really narrow it down to a hyper focused segment. You can take another pointer from Sand & Sky by limiting the number of products when you launch your cosmetics line. Sand & Sky launched with just one product. They were able to focus on making their one product amazing. Limiting the number of products also makes the logistics of a launch much, much easier. Creating a single product that hits it out of the park is a million times better than creating a handful of 3.5-star products. The goal is to create major buzz about your business so it gets off the ground in a hurry. You’re more likely to accomplish that with a flagship product that’s so good you can’t keep it in stock. That’s been the case for Sand & Sky. Now they’re in the works of expanding their line with a few more products. Before you can package your product you have to have your branding figured out. The importance of your brand identity can’t be overstated. It’s what many consumers will think of when they hear your business’ name. Brand is more than just a logo, colors and font. It should exude a feeling that connects with your target market. It should relay a message about what your company does with one glance. It will become synonymous with the ideals that your business represents. This is where you’re going to need outside help to begin really building your business. Unless you have graphic design experience you’ll need someone to help you design your logo and product packaging. Take your time to get this right! Once a brand’s look and feel are established, it’s extremely difficult to make changes. Follow these four steps, pair them with an amazing product and invest in online marketing and you’ll be off to a great start with your start up cosmetics company.